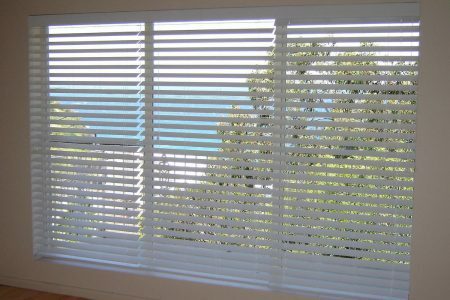 Pazazz Blinds & Shutters offers custom-made venetian blinds in a range of finishes, colours, materials and styles. Servicing Newcastle, Lake Macquarie, Port Stephens and the Hunter, Pazazz venetian blinds will add style & value to every room in your home. Our slimline aluminium venetian blinds are manufactured from high-grade aluminium, making them light, sturdy and long-lasting. Easy to operate and clean, our aluminium venetian blinds are perfect for homes and businesses where price and longevity is important. PVC venetian blinds are the best choice for high-traffic and humid areas like bathrooms and kitchens. Durable, practical & affordable, PVC venetians offer a sleek and modern look at a fraction of the cost of timber, making them ideal for family homes or business premises. 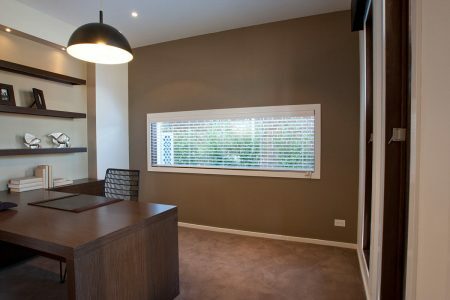 Pazazz Blinds & Shutters’ range of timber venetian blinds add practical style to every home, business or office. Manufactured from responsibly sourced cedar and basswood, our timber venetians are designed to look good, while controlling heat & light, for the long haul. Venetian blinds from Pazazz Blinds & Shutters can be manufactured in a colour, finish, material and size to suit any decor. Our timber venetians can be stained or painted to achieve your desired look and are custom-made to fit every window. Our PVC and aluminium blinds come in a wide range of sizes and colours, ensuring a perfect match, whatever your style or decor. Our range of timber, aluminium and PVC venetian blinds are built to last. Made from quality, durable materials, venetian blinds from Pazazz are designed to add value to your home for years to come. Venetian blinds are practical, allowing you to control the light and warmth entering your home. Our blinds can be designed to add even more light through the addition of perforations or further control privacy with no holes visible between louvres. 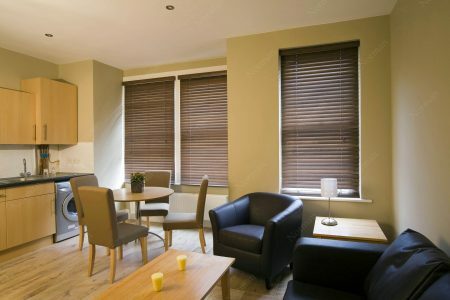 Pazazz provides quality venetian blinds for Newcastle and its surrounds. Our range of timber, aluminium and PVC venetians are made from the highest quality materials and manufactured to meet your exact specifications. Our venetian blinds all come with warranties, so you can be assured of custom-made quality when you choose your venetian blind from Pazazz Blinds & Shutters. You can’t beat Pazazz’s range of venetian blinds for value and affordability. Our custom-made PVC venetians provide an affordable option for budget conscious buyers, still looking to add value to their property. Our slimline aluminium venetians offer sleek styling at a competitive price while our timber venetian blinds represent an investment in style and quality, guaranteed to last the distance and add long-term value to your property. Why choose Pazazz Blinds & Shutters? Pazazz Blinds & Shutters is owned and operated by a local family, with decades of industry experience. We believe in providing the highest standard of quality workmanship, professionalism and customer care. When you choose venetian blinds from Pazazz Blinds & Shutters, you are choosing quality, style and value for money. Contact us today to see how we can add pazazz to your home, office or business! There is a lot to consider when choosing blinds for your home, that’s why we offer a free consultation and quote service. We believe it is important for our customers to be able to ask questions and explore their options to make sure they get the perfect blinds for their home or business. For a free quote on our range of blinds, or any of our other products, call Pazazz Blinds & Shutters on 02 4971 0404 or use the contact form. We install blinds, shutters and awnings to homes, offices and businesses right across Newcastle, Lake Macquarie, Port Stephens, Maitland and the Hunter.